In developing countries where concrete is widely used, the high steadily increasing cost of concrete has made construction very expensive. This, coupled to the deleterious effect of concrete production on the environment has led to the cost of concrete. In this research work experiments have been conducted with the collection of materials required and the data required for design mix are obtained by sieve analysis and specific gravity test. Sieve analysis is carried out for coarse and fine aggregates and the sample which suits the requirement is selected. Specific gravity test is carried out for coarse aggregate, fine aggregate and bitumen immersed prosopis juliflora. In this project coarse aggregate is partially replaced by the bitumen immersed prosopis juliflora. The coarse aggregate is replaced with 2% and 5% by bitumen immersed prosopis juliflora. The design mix used to execute this project is M30 grade concrete. This M30 grade concrete is designed as per Indian Standard Code for both conventional concrete and bitumen immersed prosopis juliflora concrete. Preliminary test comprising compression test is carried out for hardened concrete made from the study material. The strength obtained from bitumen immersed prosopis juliflora is compared with the conventional concrete. Finally compare both normal concrete and conventional concrete. Thus, 2% and 5% replacement of bitumen immersed prosopis juliflora is recommended for conventional concrete to increase the strength of concrete. Mathankumar C, Harshini S K, Prema K, Sethupathi S. "Experimental Study on Partial Replacement of Course Aggregate by Bitumen Immersed Prosopis Juliflora." 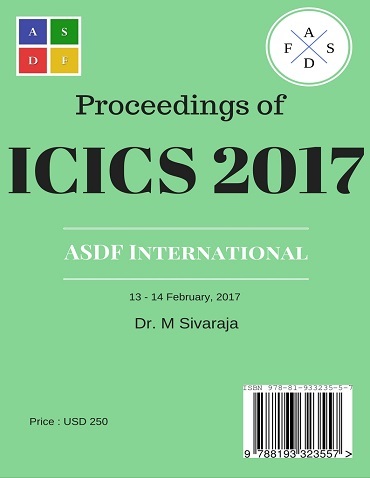 International Conference on Intelligent Computing and Systems (2017): 08. Print.